Another great choice we tried was THE OVERLOAD Stuffed baked potato.I had the NEW Chicken Bacon Ranch on a hoagie w/fried!Great steak, salads, and creative baked potato offerings. 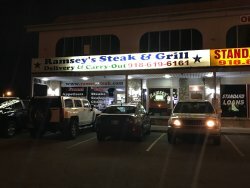 Ramsey's Steak and Grill Delivery was established in Tulsa in 1990! We cook and deliver your food! 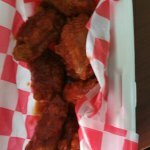 We do not rely on 3rd parties and do not charge an arm or a leg for delivering! We were given Tulsa World Newspapers #1 Take-out in Tulsa in 2012! Best Dang Burger on Planet Earth! No Need to Go Out! Your dinner comes to you, fresh and hot. 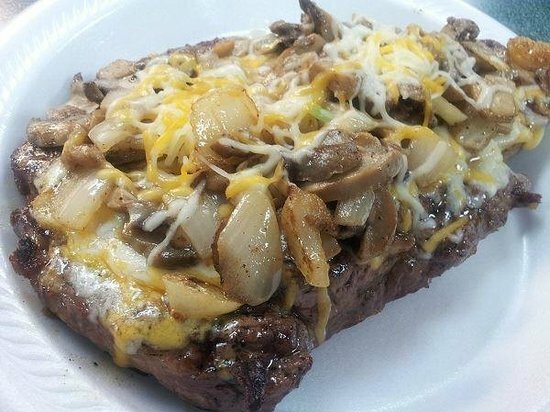 Great steak, salads, and creative baked potato offerings. 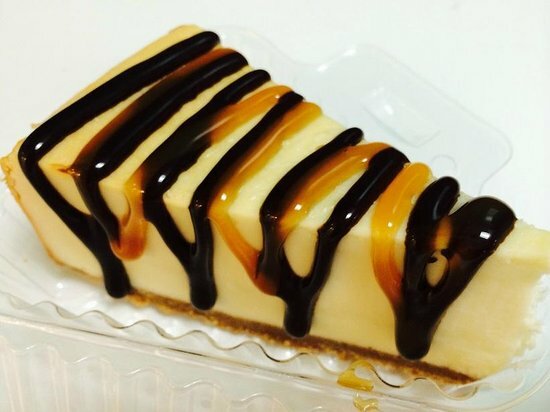 Plus, you can order dessert and a soda pop. Keep to the meal entrees, the burgers and sandwiches are OK, but nowhere near the deliciousness of other offerings. 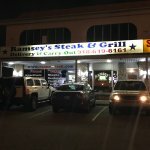 Too busy to Cook, Call Ramseys! Excellent Food and Enthusiastic Staff! We love their food! Close to the house, so we order, run and grab it and enjoy mouth watering burgers, potato's, sandwiches and more! Always fresh and hot! Valentine's Day to Remember-free chocolate! 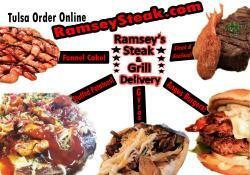 Get quick answers from Ramseys Steak and Grill Delivery staff and past visitors.